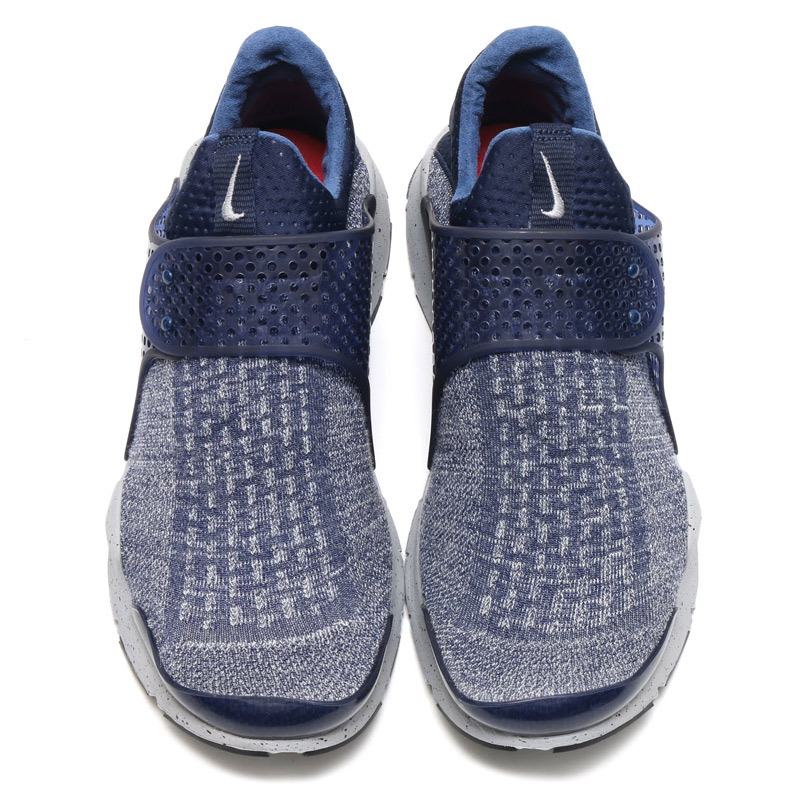 Sock Darts continue their 2016 campaign. Nike has made sure to breathe new life into its Sock Dart sneaker during the model's retro run, introducing fresh materials and patterns to the shoe with each round of releases. For the latest it's adding a heather look on colorways like this navy one. 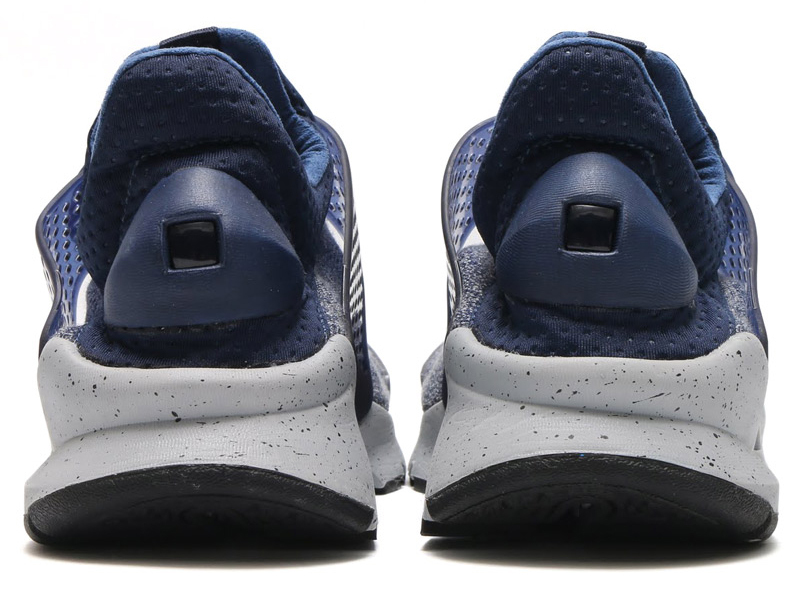 Also different here is the treatment around the tongue, which looks like some sort of neoprene with perforations in it. The bad news is that the shoe isn't available in the U.S. yet, and is only just now popping up at sneaker stores like Atmos in Japan. 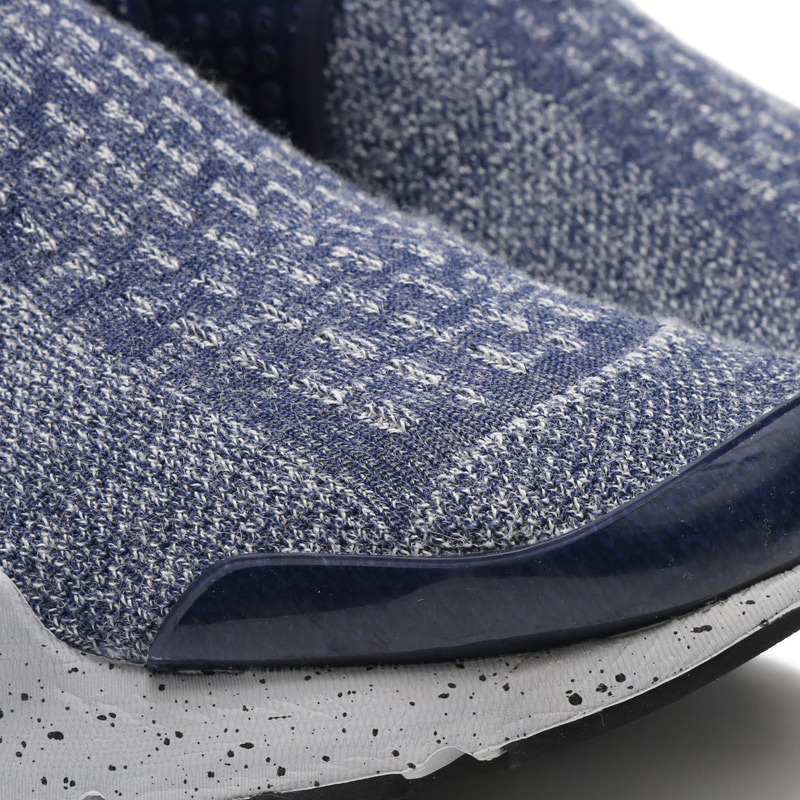 The good news is you can follow the Nike Sock Dart here for updates on this and other coming colorways.